At Bullis, a balance between academics, arts and athletics is our foundation. Four signature programs provide unique opportunities along with traditional courses. 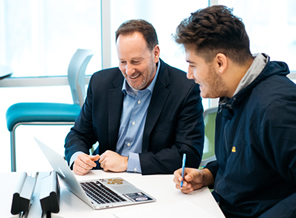 In addition to the core college preparatory curriculum, our four signature programs provide pathways to concentrate studies and applied learning in interest areas for students to delve further and experience real-world applications—and define college and post-graduate goals. Counselors guides students in their search for the college that is right for them. 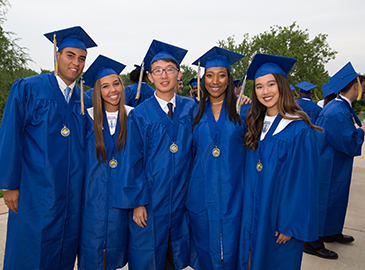 From the Ivy League to specialty and small colleges, Bullis graduates attend college prepared, excited and happy. Supporting and accommodating academic differences, and empowering students in their learning. Online learning provides meaningful learning opportunities using a wide variety of teaching modalities. It's great for students and families who want more flexibility, customization and self-directed education. In today’s society learning takes place anytime, anywhere. The Academic Center provides support throughout the school day for students seeking assistance from teachers, tutors, learning specialists and academic coaches. Includes information about the Writing Lab and Professional Tutor Program. The Marriott Family Library is the resource center for the school and a hub for all divisions. 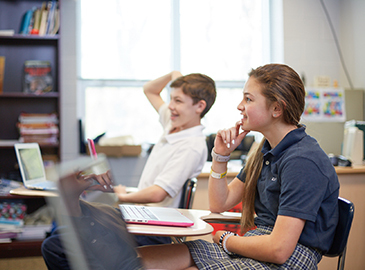 A one-to-one program, iPads for every Lower School student, Blended Learning opportunities and Flipped Classrooms put the latest technologies to work for students and staff. Bullis’ unique rotating schedule ensures no day is like the previous one and keeps students engaged while providing flexibility in the classroom. Bullis has a unique approach to snow days, by keeping learning going via online technologies and eliminating the need for make-up days. Teachers who challenge and nurture. Find any teacher’s page for homework, contact and syllabus information.